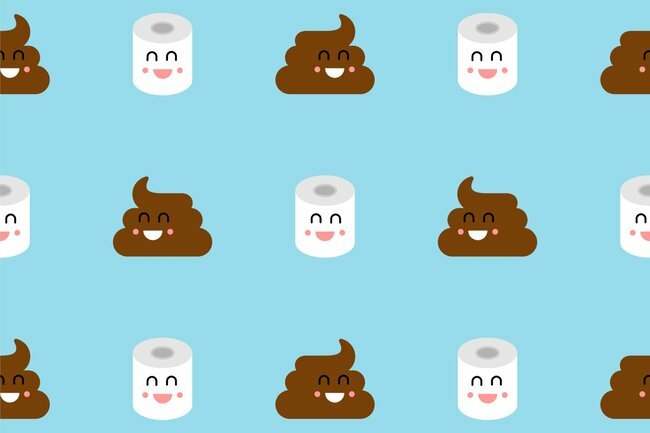 A poop friend is the special friendship absolutely everyone needs. A viral tweet has opened our eyes to a very special kind of friendship – one we probably all enjoy, but don’t give the appreciation it deserves. No, it’s not the brunch pal or the gym buddy – well, it could be, if they’re also the friend you speak to about your bowel movements. Because the very special relationship we’re talking about is the poop friend. This all came to light when US writer and podcast host Tracy Clayton tweeted the question, asking people to confirm that everyone has a poop friend. everybody has a poop friend, right? the friend you can talk about your poops with? tag your poop friend! And oh, we didn’t even realise this was a thing until now, but it so is. Clayton’s tweet received hundreds of replies, including people who tagged their poop friend, others who claimed to have ‘poop clans’ and even one truly beautiful poop friend proposal. aww a pooprosal! SAY YES, EVERYONE IS WATCHING! We have a what’s app group!! It’s called Sh*t talk. ???? there are sometimes photos!!!! ???? Yeeees! Everybody NEEDS a poop friend! The beauty of the poop friendship is that in order to be part of one, you need to feel totally comfortable sharing intimate, maybe embarrassing details with each other. That requires a lot of mutual trust and respect – so we think talking about each others poop is basically the perfect recipe for a successful friendship. Either that or you need to find someone who just really loves toilet humour. This is also very valuable. So whoever your poop friend – or poop clan – is, today we implore you to give thanks. Tell them how very grateful you are for their unconditional poop (and non-poop) related support and be sure to be the best poop friend you can be in return. Because without them you’d have to… keep your poop stories to yourself, and where is the fun in that?